We brought Josh Thomas, of Profit Arc, onto the show to talk about sales, marketing, and growth. This dynamic, authentic conversation covered that ground, and so much more. 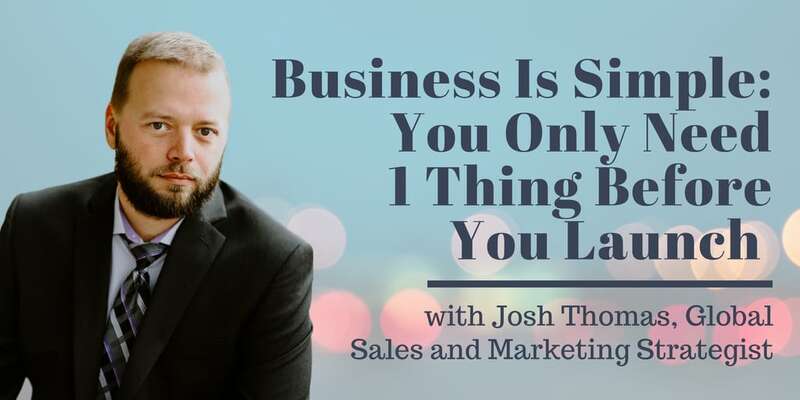 In his down-to-earth message of simplicity and focus, Josh shares the power of one person to make a difference, how to adapt to change, and the #1 thing that your business needs to get results. Josh tells his fascinating story that winds from burnout and mediocre failure to learning how to run a successful business and helping others to do the same. We love Entrepreneurship. Business owners emphasize and focus on cash flow over accumulation. 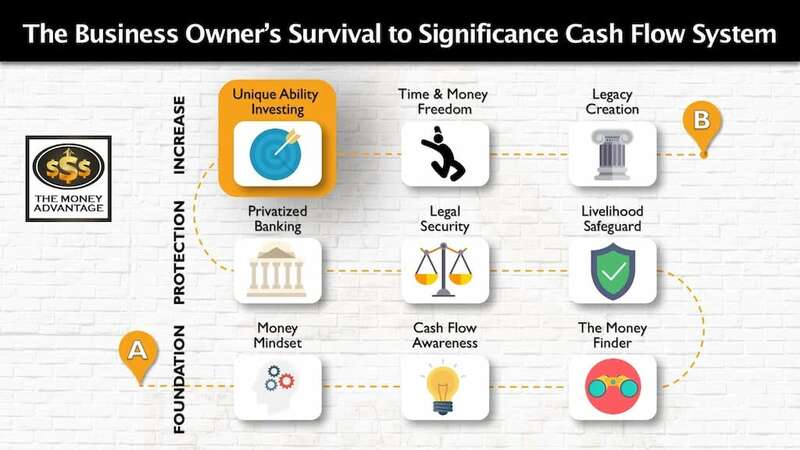 In the Cash Flow System, you first increase cash flow by keeping more of the money you make. Then you protect your money. Finally, you increase and make more. Entrepreneurship is part of Investing in stage 3. Building a cash-flowing asset portfolio of real estate and business accelerates time and money freedom. Josh Thomas is a problem solver. He has assisted businesses in dozens of industries to identify problems and fix them. Be it a sales, marketing or systems issue, Josh’s focus is on results and revenue. He has personally consulted with over 1,000 businesses in 30 different industries across all 6 continents. He has directly produced millions of dollars in sales and profit growth through his unique “results first” approach. Josh delivers tangible results-oriented solutions in sales, marketing, and systems components using sales fundamentals, direct-response marketing, and proven best practices for laser-targeted, rapid business growth. He lives in Austin, Texas and is an avid stand-up paddle-boarder. [18:27] It just takes one person, one thing, to change everything for you. [20:00] Evolution is not about survival of the fittest, or the most intelligent, but it’s about the animals that can most readily adapt to change. [21:09] There’s a lot of noise and shiny objects out there. We want to make sure that we’re focusing on the thing that’s going to get us a result. Not on the thing that’s going to make us look good, or that’s going to stroke your ego, but the thing that is going to get a result. 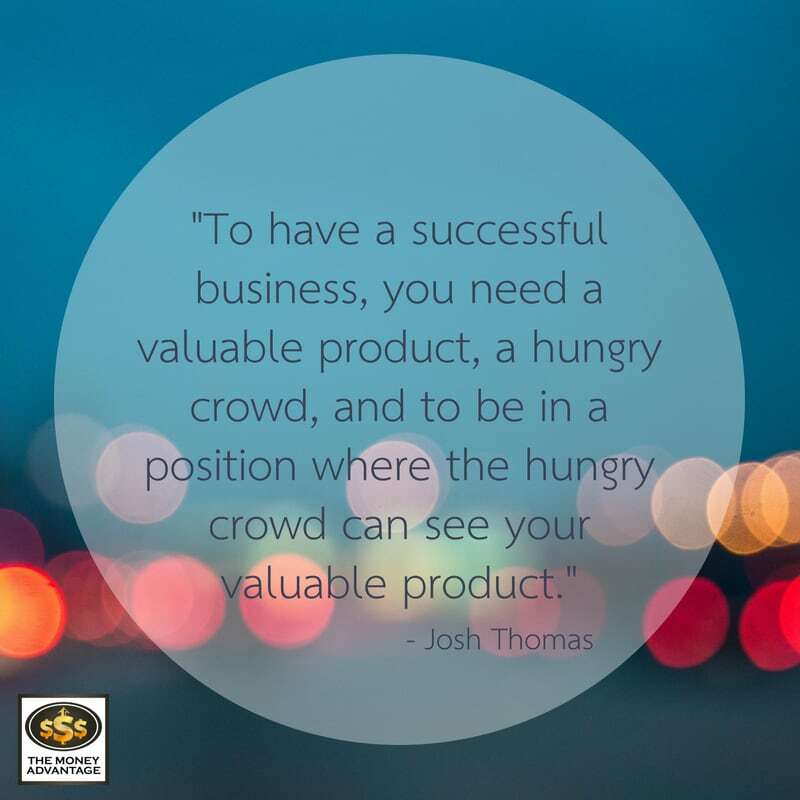 To have a successful business, you need a valuable product, a hungry crowd, and to be in a great position where the hungry crowd can see your valuable product. If you’re on Instagram, Facebook, YouTube, LinkedIn, and Google Plus, that’s fine. But why are you there? Are you there because your customers are there? Are you there because you have a plan on how to generate business from there? Or are you there because somebody said you have to be there? Let’s go back to your website. Do you have a website because you need one, or because you think you should have one? [22:28] The concept of agile development is like building a ship. Most of the time you’re going to build the entire thing in the shipyard, and then you’re going to shove it off into the sea. Instead, agile development says you build the hull, stick all the other stuff you might need in there, and you shove off to sea. You build the rest of the ship while you’re sailing. Why? Because once you get out to sea, you’re going to find out that you might not have the best sail, or mast, or maybe you want to design this a little differently. When I’m out here living it, I’m getting immediate feedback. I would recommend that you build a business the same way, don’t worry about your website, your USP, finding your why, and all that stuff. Instead, figure out if you can take an offer and go and get somebody to give you money for it. [26:48] I was introduced to the idea of generating leads on LinkedIn via a Facebook ad. The guy had a great pitch. Basically, it was a manual approach, where you’re reaching out to connections and writing a good message to pitch them for some service. I realized I could do this. I’ll offer that to other business owners. I’ve got some I’ve got some spare time, an assistant, and I can probably outsource the majority of this work. I first put together my offer, and then called five people that I really like and trust. I said, Okay, I’m going to give you my pitch, poke some holes in it. They gave me feedback, and I refined it. And then I started reaching out to people I didn’t necessarily know and began offering it to them. Eventually, some of them bit, and I got a couple of clients out of it. I think we’re 30 days into this right now. I have a couple of clients. The very first client just renewed and paid me for the second month. It’s going somewhere. [28:10] Now if you ask me, what is the name of this service? I don’t have one. If you ask me, where can I go and get more information and learn more about this? You can’t. It’s me. It’s a dude on the phone. We don’t have a social media presence. There’s literally not even any name for the service. It’s just called LinkedIn lead generation service. You won’t find it anywhere because I’m going out and trying to prove the concept. I get on the phone, talk to somebody, and say, you run a b2b type business. You’re looking for leads that are accountants in the Northwest. I can help you find accountants in the northwest on LinkedIn. I’m going to write a message that will compel them to respond, and then follow up with them. I’ll charge you X number of dollars. Do you want to do it? In fact, I’m going to guarantee results. If it doesn’t work, I’ll eat all the hard costs and give you your money back. I get results or no charge. [31:23] I’m not a guy that’s sitting on a yacht, drinking my fruity drinks with the umbrella surrounded by beautiful ladies. I’m just a guy, and I know how to survive, and I know how to make money. But this isn’t wisdom from the top of the mountain. I’m a guy that gets in the trenches and get stuff done. I was a guy who sat there, talked about ideas, built my website, and made sure that my autoresponder was put together properly and blah, blah, blah, and all that stuff. That made me zero dollars. What made me money was going out having a valuable service, finding a place where the hungry crowd is and asking them to buy my stuff. And I’ll figure the rest of it out as I go. If I pick up three or four more clients, maybe I’ll come up with a name for it. Perhaps I’ll build a website, but it’s not important. Think about what you are doing with your day. If you’re starting a business, struggling, or not making enough money, flip your productive time towards the thing that is going to produce the most results and forget everything else. I like to use the 80/20 rule. The 80/20 rule is 20% of your effort produces 80% of your results and vice versa. And it’s a law of nature. For example, 80% of the entire market cap of the stock market is owned by 20% of the companies and vice versa. [35:00] Here’s how to apply it. Let’s just assume everybody works a 40-hour week. What are you doing with that 40-hour week to produce revenue, increase profit, or whatever the goal is? If you’re a struggling business owner and don’t have enough sales or people to talk to, you need to spend 80% of your time prospecting or in active sales conversations. If you’re not doing that, change your systems so that that’s what you can do. That’s about six hours a day, by the way. 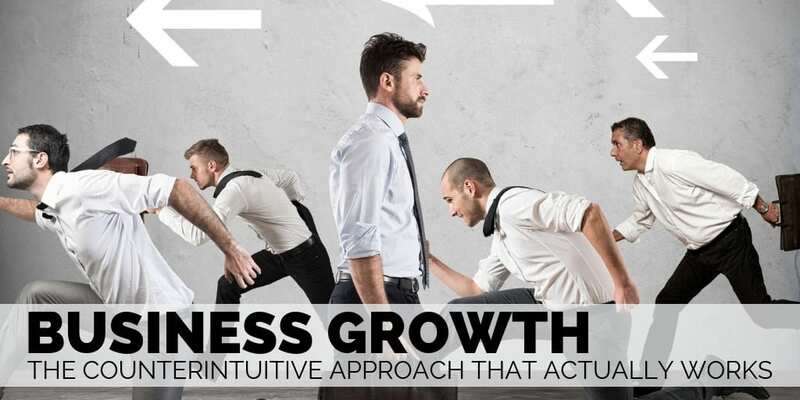 If you’re spending six hours a day prospecting for new business or in sales conversations, and you do that for a month, you will be in a different position, guaranteed. Take stock of what are you doing with your productive time. If you’re allotting yourself 40 hours a week for your business, and you don’t have enough customers or sales, then you need to be spending at least 80% of your time prospecting for new business, in whatever capacity that is. Going to a meetup counts. If it’s cold calling, that counts. If it’s sending out emails, that counts. Maybe it’s getting people on the phone and just talking about your business to see if they’re qualified as a potential prospect for you. That counts. [36:50] Stop working on your website and your email campaign and go out there and prospect for new business until it doesn’t make sense for you to do that anymore. There will come this time when you’re spending six hours a day on prospecting, and you’re overwhelmed with people. That’s when you can outsource and start changing your focus. Then, you can spend 80% of your time building your business instead of selling your business. When you have created your own demand and have more clients wanting your service than you can handle, you’ll need to flip that ratio. Maybe you’ll do six hours of servicing your clients and only two hours of prospecting because you have all the clients that you can handle at that time. I’m not a magician or anything. But let’s be practical. If every single person who is listening to this podcast would go out and spend six hours a day trying to find new business, they would probably be successful, right? It’s almost a guarantee. If you’re not where you want to be, start doing the things that you need to do to get where you want to be. To build a business, you have to go out and find people who are willing to give you money. That’s what you need to be spending the majority of your time on until it makes sense to get somebody else to do that. [44:29] That to me is what it’s all about. You fail, then you have to go and self-reflect to figure out why you failed and how you can make sure that that specific failure does not happen again. We’ve done that more than 100 times now, and it just it blows me away every time to see how resilient entrepreneurs are as a whole. If you’re in business and you’re out there trying to make a difference, you’re not alone if you’re struggling. If you’d like to talk with Josh Thomas to focus on results first, email josh@joshthomas.net with your #1 problem in your business right now. He’ll help you diagnose if that is the real problem, look for causes, and find solutions. You can also find him at http://joshthomas.net. Listen to his podcast, How to Lose Money.